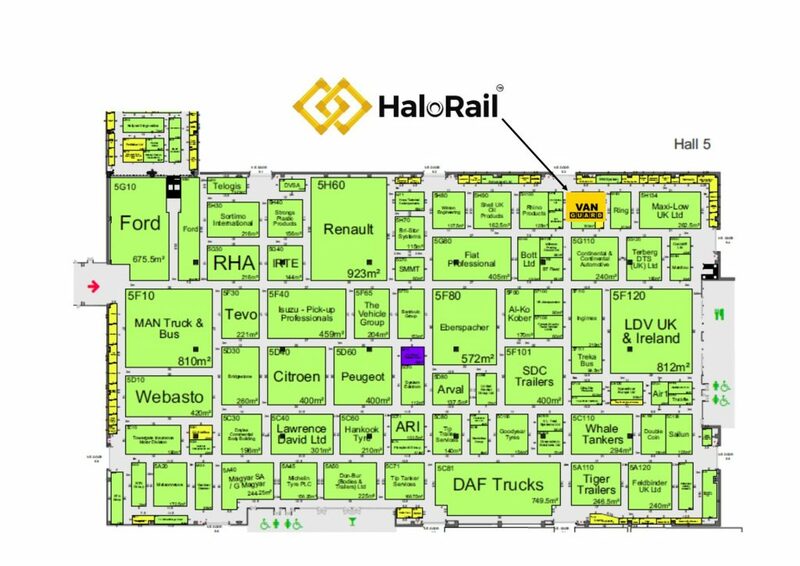 We are pleased to announce that we will be exhibiting HaloRail® at the CV Show, in the NEC in Birmingham 25-27 April 2017. If you haven’t been to the show before, click the banner at the bottom of the page and take a look at the website for a full list of exhibitors and stands. Not only will you be able to see HaloRail up close and personal, but bring a business card with you to enter our FREE PRIZE DRAW for a chance to win a free system! With kind permission from Van Guard Accessories Ltd, we’ll have a display and product information for HaloRail on their show stand, alongside all of the great Van Guard products. We’d love to see you there, so come along and see us on stand 5H110 in hall 5. See the plan [below] for hall layout.